Here is the latest news. Illegal mining threatens headwaters of important rivers in Mpumalanga. After agreeing to halt their open cast coal mining in April 2017 WPB Colliery have restarted their operations on the Dullstroom plateau at the head of the Elands River and within the Greater Lakenvlei Protected Environment. The legal team representing the GLPE landowners and other stakeholders is currently scrambling to put an end to this illegal activity. Many thanks to Strydom & Bredenkamp of Pretoria for their excellent pro bono help in this matter as well as to Dr Koos Pretorius. At the same time an application has been made for prospecting in 6 500 ha in the Mount Anderson area which includes the headwaters of the Sterkspruit, Spekboom and Sabie rivers. Within this area is the Mountain Anderson Catchment Reserve and a provincial reserve. Sadly, miners have little respect for the law these days. The search for the Clanwilliam sandish by Leonard Flemming. I’ve spent weeks in total on the Olifants and Doring rivers and their main tributaries over the years catching Clanwilliam yellowfish and sawfin, but also in search of the lesser known sandfish. If the Clanwillaim yellow can be called elusive, then the sandfish is by comparison ‘extinct’. That was also what people like Dr. Bruce Paxton and Dr. Olaf Weyl would’ve told a nosy fly fisherman seeking for these fish in the lower Groot River and greater Olifants River a few years ago. I believe that snorkelling and seine netting hasn’t revealed any of these shy fish since 2002 (although a proper survey is long overdue according to Bruce); until a bait angler caught a big sandfish in April 2018. 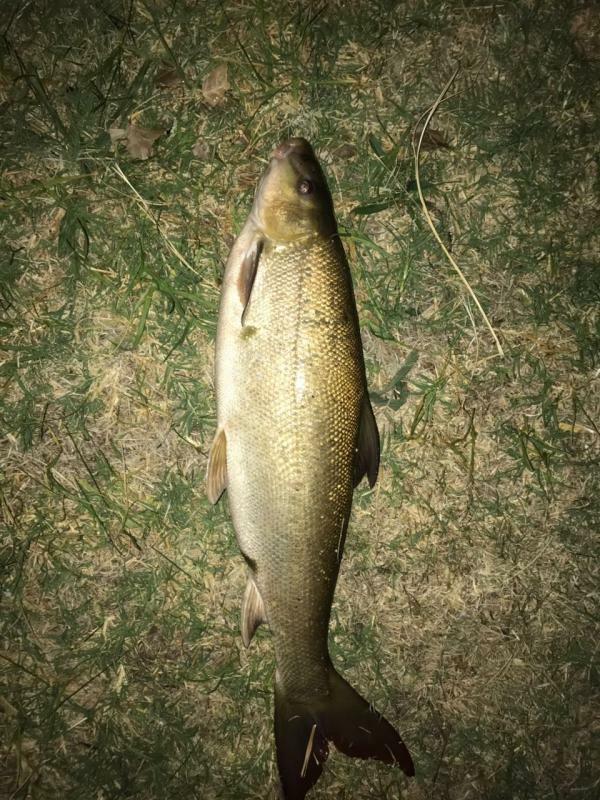 Tim Leppan (a young fly fisherman that loves to catch Clanwilliam yellows in the Groot/Doring system) witnessed the event and also took a few photographs of the strange fish, one of which was Whatsapped to me to confirm the species. I was blown away when the message came through and also quickly and excitedly informed Bruce that once again, after so many years in which hope was lost, one of these intriguing and amazing animals had surfaced. The dwindling population may seem depressing, but I do see hope for the sandfish in future. 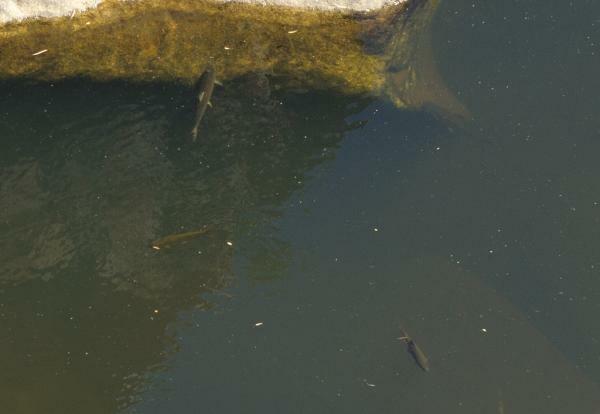 A school of these fish that I found in a fairly recent exploratory trip to find Clanwilliam yellowfish, sawfin and sandfish, also proved that the rehabilitation project for sandfish has worked/is working to some extent in the upper Biedouw River. I counted approx. 10 fish of which the biggest was also the biggest indigenous fish I saw in the river, even bigger than the 19 inch Clanwilliam yellows that I caught by sight fishing on tiny nymphs the same day. I also visited the lower reaches of the Biedouw where large sandfish were caught by net during the rehab process, but unfortunately the pools were nearly saturated with bluegills, spotted bass and largemouth bass. I managed to remove more than 100 bluegills in the lower reaches and also a larger spotted bass that intimidated the schools of indigenous fishes higher up in the river. While the bass dominated the tail out of a big pool, once removed sawfin and Clanwilliam yellowfish quickly swam into the area and started feeding along the bottom – one could almost imagine the ‘relief’ in them when the bass was killed. My main aim is to still catch a sandfish on fly; their lack of interest in all the flies I tried during my exploration trip may well be a sign that they either won’t eat flies or that one should be targeting them at a different time of year. I guess time will tell. PS – In all the years that I’ve hiked and fished the Groot River it now seems that the numbers of Clanwilliam yellowfish caught on fly per trip has increased significantly and especially juvenile fish less than 1.5 kg. It is looking very promising from an angling perspective, whether my observations correspond to actual increases in fish numbers remains to be proven. There has unfortunately not been any sign of sawfin in the Groot River itself (even though breeding populations are still present in the upper reaches of many of the Groot/Doring tributaries).